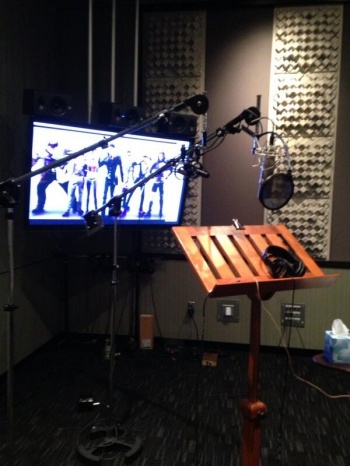 Actor Jay Mohr tweets that he's doing voice-over work for a new Saints Row game, and even shows the recording studio. Actor-comedian Jay Mohr (Jerry Maguire, Go) might have just outed the existence of Saints Row V. Over on Twitter, Mohr tweeted, "About to do my voice over work for new Saints Row video game. #showbiz,"which was accompanied by a picture of a recording booth that had six Saints Row characters depicted on a monitor. It's unclear whether Mohr meant that he was working on a new Saints Row game or DLC for Saints Row IV, which was released in August of this year. But seeing he did say "new," that could mean an all-new entry into the franchise. If so, it really shouldn't be that surprising to hear, since SRIV is one of publisher Deep Silver's biggest games to date. The actor isn't new to gaming, either. In 2008, Mohr voiced Dane Vogel in Saints Row 2, and he also did voice-over work for Leisure Suit Larry: Box Office Bust the following year.